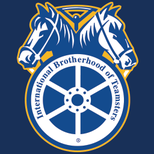 The IBT is proud to endorse Teamster Privilege—a package that offers benefits and services for you and your family. Because of the strength of our membership, as a Teamster member you are eligible for deals on products and services that the general public cannot get. The Teamster Privilege program offers benefits that extend above the benefits negotiated with your employer under your Teamster contract. These benefits are available to you and your family for as long as you are a union member. Teamster Privilege Credit Card - The Teamster Privilege Credit Card offers features like a low intro APR, competitive rates, U.S.-Based customer service and $0 Fraud Liability if your card is lost or stolen. Retiree Health Insurance - This program consists of several different benefits for Teamster retirees. Teamster Privilege Auto and Home - As a member of IBT you now have access to valuable features and benefits, including special group discounts on auto and home insurance offered through MetLife Auto & Home. Life and Accident Insurance - These Teamster Privilege insurance plans help to provide financial security for you and your family. Teamster Privilege Mortgage - Buying a home can be one of the most expensive and stressful purchases in your life. But finding your dream home doesn’t have to be a nightmare – thanks to Teamster Privilege Mortgage. This benefit makes buying, selling or refinancing a home easier and more affordable. AT&T Wireless Services - As an IBT member, you can save 15%* on your monthly individual or family wireless plan from AT&T, the nation’s only union wireless company. Union families save an average of $110 a year on monthly service. Plus, the $36 activation fee is waived for union members. The 15% discount is available for both new and current AT&T customers. Teamster Privilege Everyday Savings - Teamsters Privilege Everyday Savings offers members-only savings on everything from renting a car to sending a bouquet of flowers. Teamster members can save money by taking advantage of all of the Everyday Savings benefits!